Ritalin side effects are more serious than people may realize. Ritalin is one of the most commonly prescribed drugs for attention deficit disorder and attention deficit hyperactivity disorder in adults and children, and it is also prescribed for narcolepsy. However, there are unwanted effects when the medication is taken long-term or when it's abused. In children, Ritalin has a calming effect and makes them more focused. This is the reason it is prescribed. However, it has also been shown to cause growth suppression in children. Anyone who experiences the more serious Ritalin side effects should speak to his or her doctor as soon as possible. In severe cases, seek emergency medical attention. Recent studies have shown that the active drug methylphenidate also boosts levels of serotonin in the brain. This finding could lead to more research for a better understanding of how the drug works. It may also lead to an improved drug with fewer side effects. People who use methylphenidate may experience unwanted side effects if they ignore the warnings regarding dosage instructions and drug interactions. Pregnant or breast-feeding women should talk to their doctor before using this drug. Additionally, do not use Ritalin if you have taken a MAO inhibitor in the past two weeks. Operating machinery, driving or taking part in other hazardous activities should be avoided when using Ritalin. If a dose is missed, take it as soon as remembered. Otherwise, wait until the next time to dose. Do not double dose. In the case of an overdose, seek emergency treatment. Drug interaction is also something to consider before beginning Ritalin treatment. People who use any of the following medications may require special dosage and close monitoring to reduce unwanted side effects. It is possible to become addicted to Ritalin, and addiction may cause side effects to become more pronounced or serious. However, when used in the dosage and form prescribed by doctors, there is little chance for addiction. The initial prescription is typically a low dose that is gradually increased until it reaches the optimum level for that patient. Addiction occurs when the dosage is increased rapidly and/or in large doses. Addiction causes dopamine increases in the brain. In fact, Ritalin side effects are similar to amphetamines, a widely abused family of drugs. 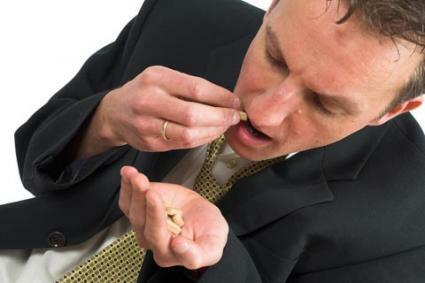 Addicts often swallow, crush, snort or dissolve and inject Ritalin.